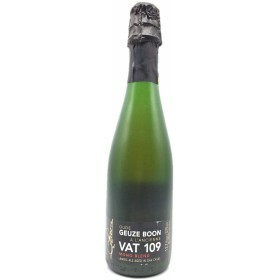 Assemblage #10. bottled on 20/12/17. Blend made from 6 different barrels originating from 7 different brews. 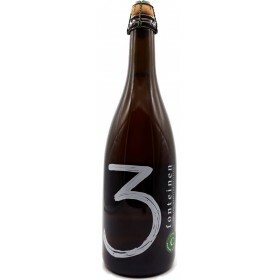 The oldest lambic is a 3.5 year old lambic brewed by 3F on 28th November 2014. A collaboration between Boon and Mikkeller. 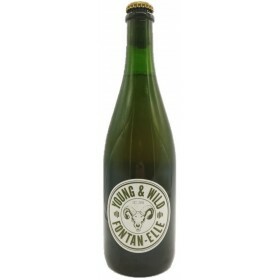 Blend that consist mostly of 2 year old lambic, aged in foeders previously used for white vermouth, with some 1 year old for refermantation and a touch of 3 year old. Brewed - Bottled by Brouwerij Boon. 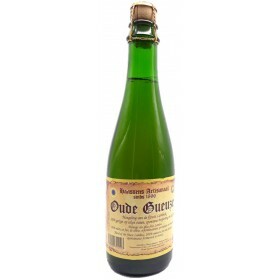 Oude Gueuze blended in collaboration between by Naprbier/NapaBCN and Gunther Bensch (Montaigu and blender of the BIIR Oude Gueuze). 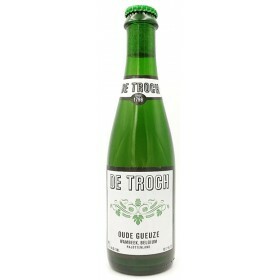 Bottled on October 2015 at de Troch (Wambeek, Belgium). 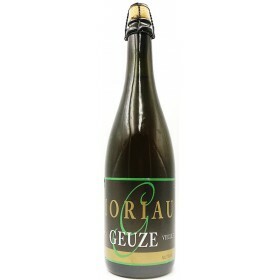 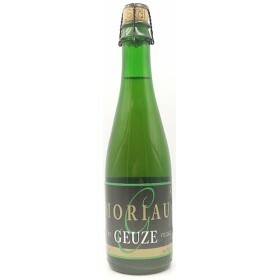 The new Horal's Oude Gueuze Megablend for the 11th "Toer de Gueuze". It was made with lambics from 9 diffrent Brewers and blenders of gueuze: 3 Fonteinen, Boon, Timmermans, Oud Beersel, Lindemans, De Troch, De Cam, Hanssens and Tilquin. 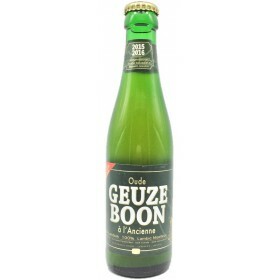 Brewed and Bottled By Boon. 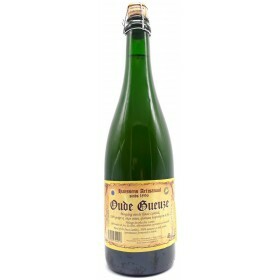 Traditional belgian lambic. 100% spontaneously fermented. 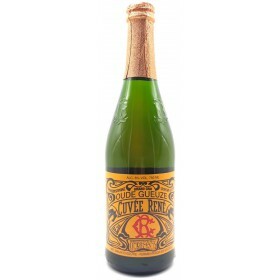 Refermented in the bottle. 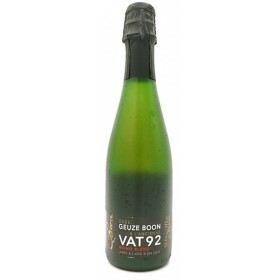 Tart, dry, sparkling and refreshing. 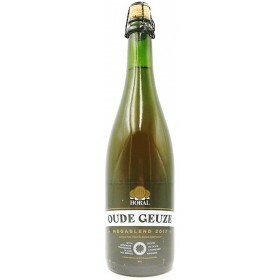 Blend of different lambics aged in "oude Pijpen" (650 liter barrels used to transport Porto from Portugal to Belgium, these are between 60 and 120 year old barrels) The average age of the lambics used is 20 months. Blend of 1 year old lambic aged on foeders that were previously for mainly red Brunello di Montalcino wine and 3 year old lambic on an old Oud Beersel foeder. this lambic was aged in a foeder that was used by red wine makers in the Rhône Valey. 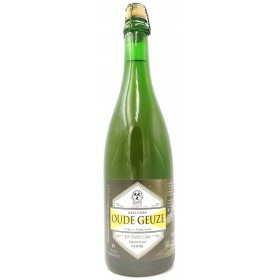 this lambic was aged in a foeder that used to contain beers with volatile acidity from a different brewery. 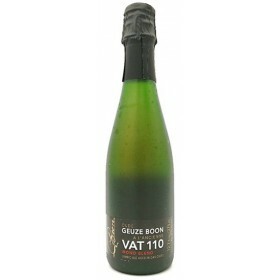 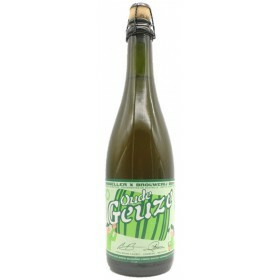 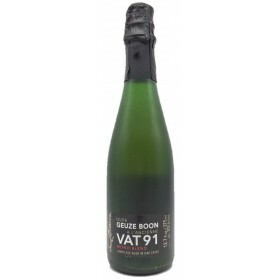 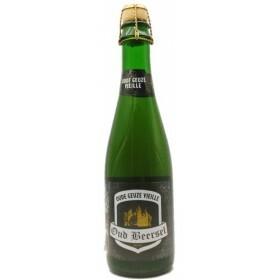 Oude Geuze Boon VAT 109 is a Mono Blend that consists of 90% Lambic from cask (or foeder) #109. 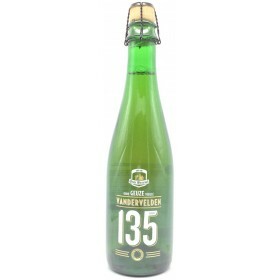 Brewed on the 16th April 2014 and was bottled on 18/04/16. 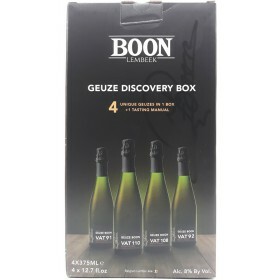 Box containing 4 different monioblends from different type of foeders. 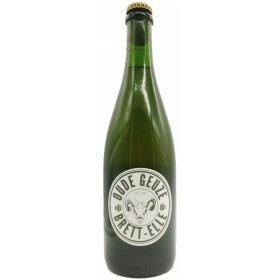 Blend of 1 - 2 year old lambics from two barrels that were really appreciated by the brewers for their fruity notes. 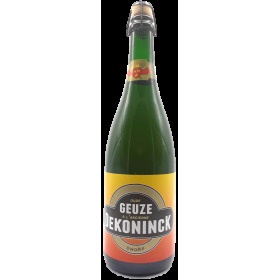 The brewer recommends to consume this soon as this blend contiains lots of young lambic, there is a "risk" it will overcarbonate over time. 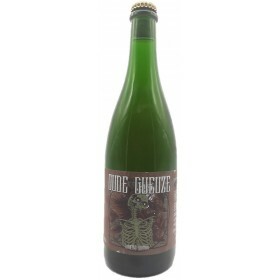 Assemblage #11. bottled on 11/01/18. Blend made with 100% lambic brewed by 3 Fonteinen from 8 different barrels originating from 8 different brews. 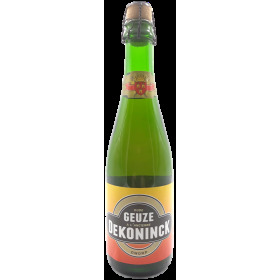 Assemblage #12.bottled on 16/01/18. 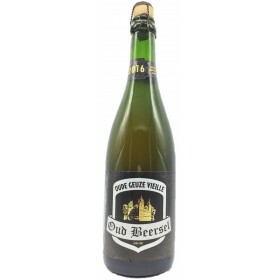 Blend made with 100% lambic brewed by 3 Fonteinen from 9 different barrels originating from 11 different brews.